Laurence Clarkson (1615-1667), the self styled "Captain of the Rant", was the unacceptable face of religious radicalism. 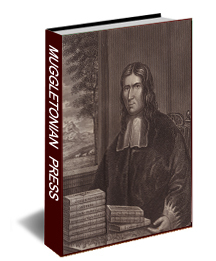 He traveled through the various churches of his time, embraced sexual freedom for a time and finally came to find peace under the teachings of the Muggletonian prophets. Clarkson unsuccessfully challenged for leadership of the sect, a failure that cost him his livelihood and his literary freedom. 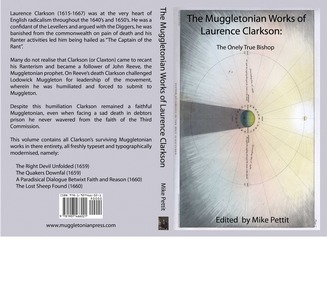 This book contains all Laurence Clarkson's surviving Muggletonian works, all freshly typeset. In particular this volume contains the full texts of "The Right Devil Unfolded" (1659), "The Quakers Downfal" (1659), "A Paradisical Dialogue Betwixt Faith and Reason" (1660) and "The Lost Sheep Found" (1660).